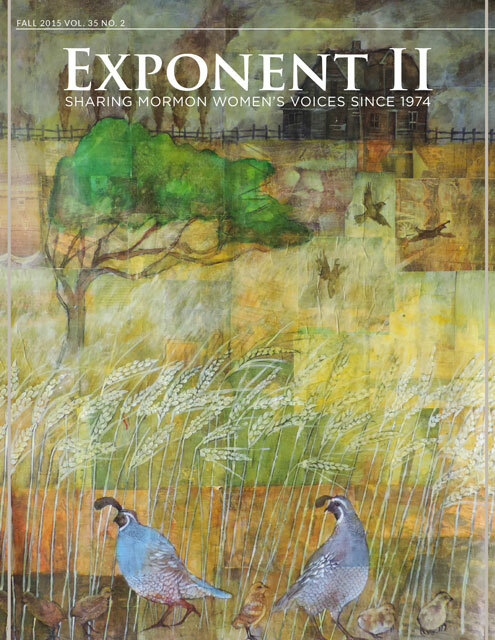 Exponent II’s Fall 2010 issue is available as a free PDF or for purchase a hard copy at www.exponentii.org. Also, today is the final day to turn in submissions for the Winter 2010 issue at editorATexponentiiDOTorg. For the past two years, I’ve made a daily drive past a house that I desperately want to buy. It’s a 1940s original adobe ranch style home. Because of the adobe walls and the solid construction, the house is 15 degrees cooler than it is outside, even without any air conditioning. As anyone who has lived through an Arizona summer can attest, such insulation doesn’t exist in most of the buildings around here. This old house also has big original windows that look out onto the half-acre backyard, beautiful doorway arches, and built-in bookcases in every room. Every day I wonder why no one has snatched up this gem. I look at it with longing, realizing that as we live in one of the bottom three states for home sales, it’s doubtful we could sell our current home so we could move into this one. Even if we could, we don’t have the time or money for the renovations that would be necessary on the adobe house—the plumbing, the long-neglected landscaping, and all those “little” de­tails that come with ownership of an older home. One of the other reasons I want to buy this house is because I fear it will be torn down. It’s the last of its kind in the neighborhood, and I can’t help but think about how we’ll lose this piece of history to make way for three (or four!) of the currently popular Spanish colonial McMansions with their impractically high ceilings, shoddy insulation, and nary a built-in book­case among them. I see parallels between this historical house and our Mormon feminist history. How often do we modern Mormon feminists want to build something new and shiny without looking at the battles our foremothers fought for us? What insight and beauty can be found in our feminist history? What “architectural” details could we find in their writings to apply to our lives today? Lately, I’ve begun to fear that I don’t look to the past nearly enough, which is why I’ve been so happy with this issue and its historical components. Cath­erine Wheelwright Ockey’s piece, “A Path Once Chosen” tells the story of her search for peace in the Church as she began to learn about the history of her foremothers who lived in Kirtland during the Mor­mons’ early days of settlement. Sarah Hogan’s sacra­ment talk, “Like Eve, All Women Have Choices,” uses the experiences of Eve, Emmeline B. Wells and Ellis Shipp to illustrate how we, as women, can use their examples to better understand and make our own choices in our lives. In his essay, “My Search for the Divine Feminine,” Ryan Thomas looks to writers in scripture to understand Heavenly Mother. As part of our regular feature, “Exponent Generations,” Lorie Winder Stromberg’s 1979 Exponent II essay, “The Sanctity Personality,” describes Edna Ericksen, a trail-blazing Utah legislator in the mid 1930s. These pieces and their historical elements fit well with our other writers in this issue, women who have the courage to share their contemporary sto­ries, including Suzette Smith’s “My Faith’s Journey” and Kathy Weinzinger’s poem, “My Story.” In each of these pieces, we see women in search of ways to authentically experience their faith and ultimately grow spiritually as they work through their personal struggles. There is power and knowledge to be gained in reading the stories of the past and keeping them in mind as we record our own stories to share with pos­terity. Aimee and I hope you feel this energy and will be inspired to share your experiences (and those of your foremothers) in Exponent II and not let them go the way of my beloved 1940s adobe ranch home. 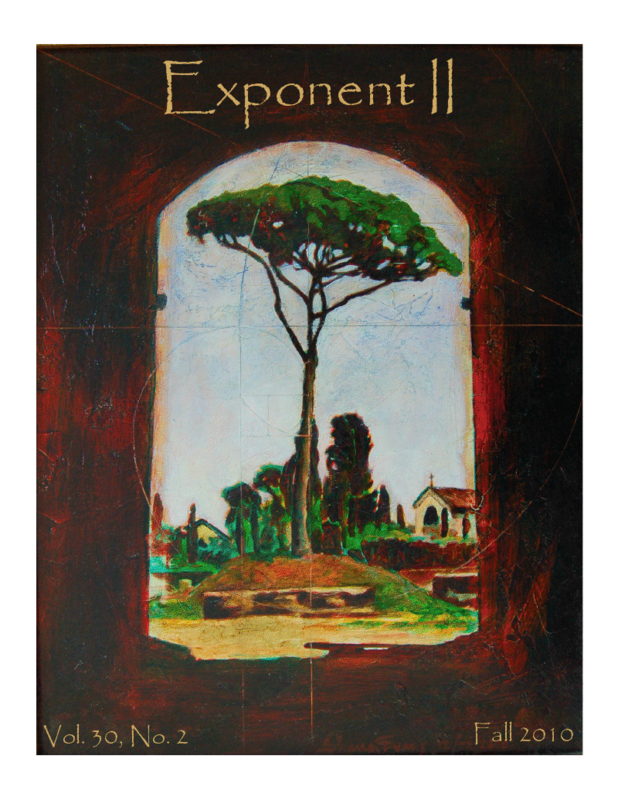 I have really enjoyed Exponent the last few months. I think that the writing, range of topics, etc. has been really energized lately. Bravo. About the house–there are things you can do. Contact your local historic preservation board; determine what type of permits are needed for demolition; talk to the planning and zoning office about the need for p reservation as opposed to McMansions… Good luck on both fronts. This issue is beautiful! I can’t wait to read it from cover to cover.